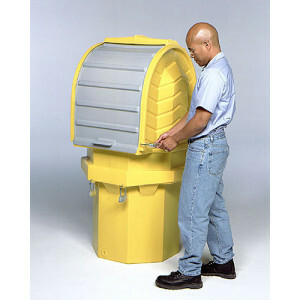 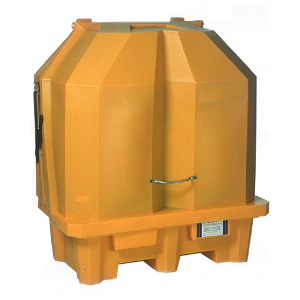 Safe, outdoor storage and spill containment for up to 20-drums and also for IBCs. 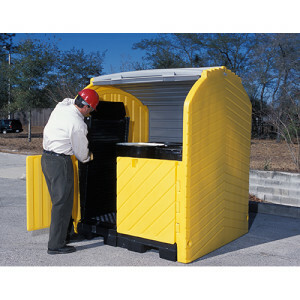 All polyethylene construction will not rust or corrode. 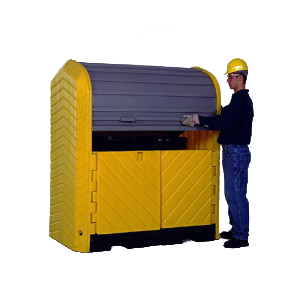 Helps meet EPA and SPCC regs in addition to NPDES requirements. 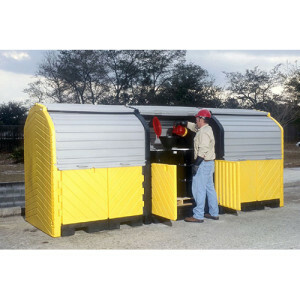 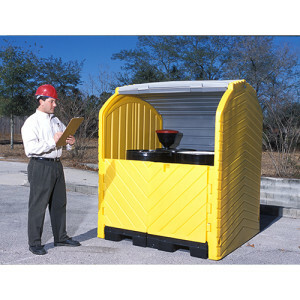 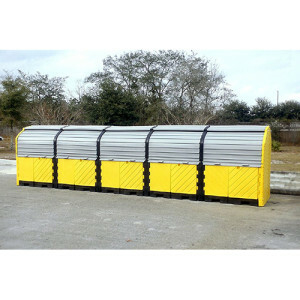 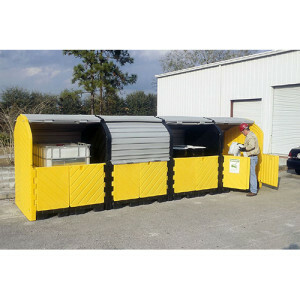 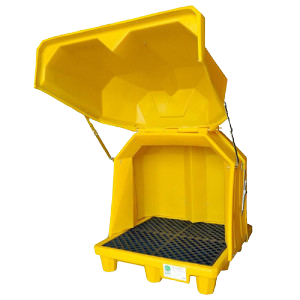 Spill Pallet Models include Hard Top Spill Pallets for 1, 2, and 4-drums.